Nature Chemistry 2018 reports how starting from a single precursor,featuring asymmetry both in geometry and reactivity, the rare semiregular (3.4.6.4) Archimedean Tiling with long-range is formed in a multistep approach. The synthesis of the two isotopologues of 163DyPc2 and 164DyPc2 featuring different magnetic properties is reported in Angewandte Chemie 2017. A publication in Chem. Sci. 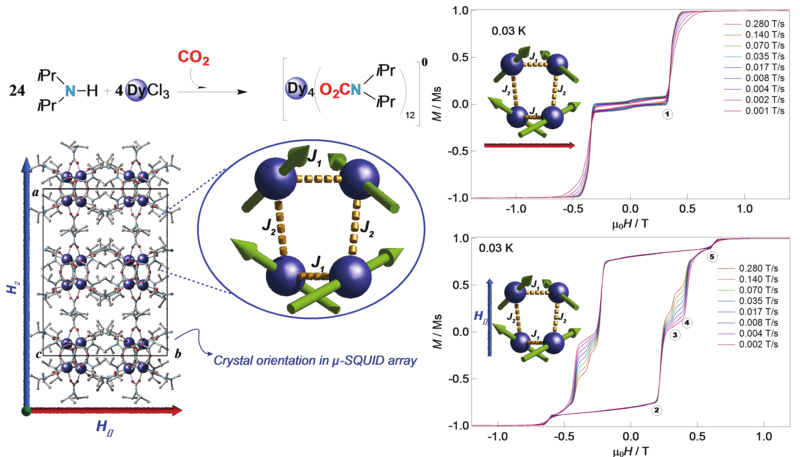 2017 shows how Single Molecule Magnets (SMMs) exhibiting exchange coupled QTM can be synthesized by insertion of environmentally harmful CO2. An article in Nano Lett. 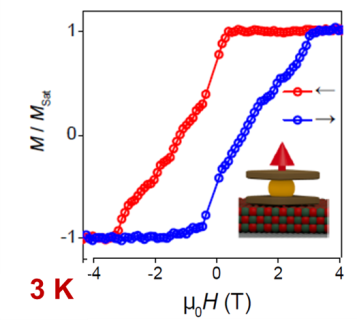 2015 a rational design approach to customize the spin texture of surface states of a topological insulator (TI) Bi2Se3. For the rational design we use theoretical calculations to guide the choice and chemical synthesis of appropriate molecules that customize the spin texture of Bi2Se3. 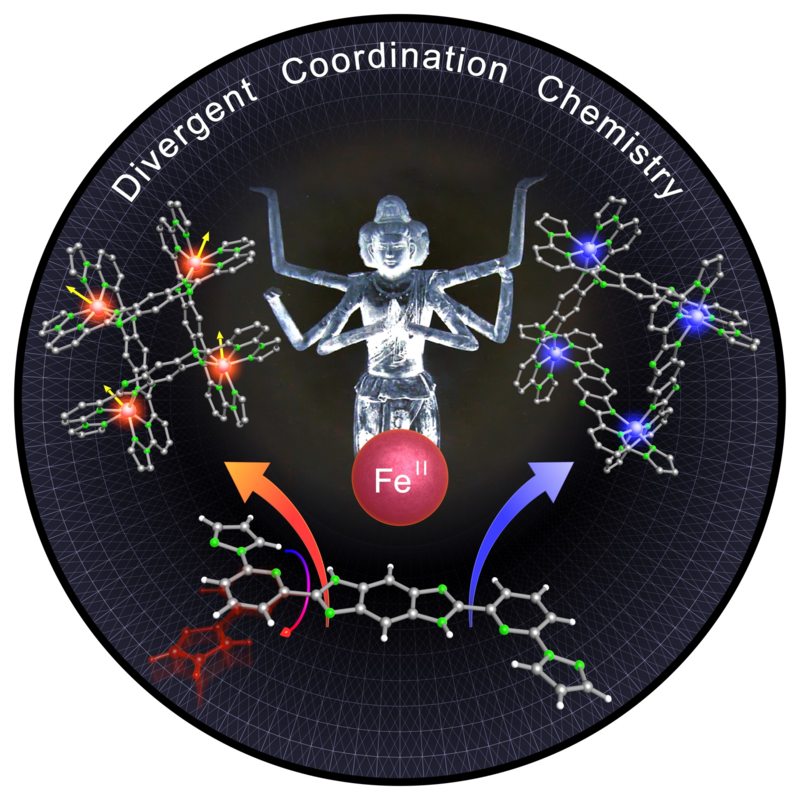 These tailored interface properties—passivation, spin-texture tuning, and creation of hybrid interface states—lay a solid foundation for interface-assisted molecular spintronics in spin-textured materials. For the first time nuclear spin states could be read out electronically by integrating single quantum magnets into circuits (in collaboration with W. Wernsdorfer). Long nuclear spin lifetimes (tens of seconds) and exceptional relaxation characteristics at the single-atom scale open the way to a completely new device world, into which quantum logics may be implemented. Nature. Press Nature Nanotech. The research activity at the research unit "Molecular Materials" at the Karlsruhe Institute of Technology is oriented towards the design of functional nanosystems by state-of-the-art organic/inorganic synthesis and supramolecular self-assembly techniques for their implementation and integration into devices. Video: Operating Quantum States in the Single Molecule Magnet of TbPc2. The long way to the successful implementation of Grover’s Quantum Algorithm for a quadratically accelerated search of an element in an unsorted data base, is described in the review. 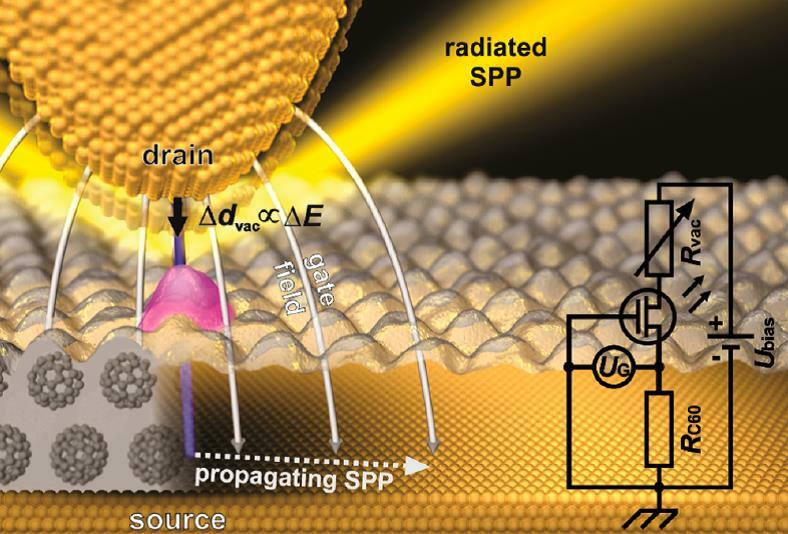 Andrea Morello presented this article in the news and views section in Nature Nanotech. The spin associated with the single-molecule magnet is then subject to conservation of total angular momentum and energy, when attached to a CNT-mechanical nanoresonator. Video: The observed long spin coherence life times concomitant with low-invasively electronic addressing, read out, and manipulation allow for the integration of magnetic molecules into electronic circuits and for the implementation of a quantum algorithms. Thus, metal complexes molecules show the potential to set the stage, in near future, to the novel class of quantum bits, the Molecular Spin QuBits. 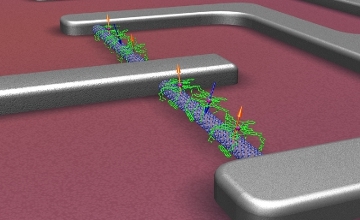 Breakthrough experiments have been carried out by the group targeting the self-assembly of spintronic devices. 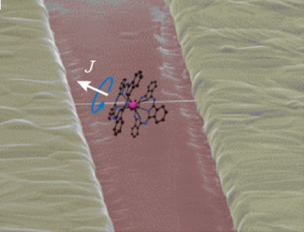 Supramolecular techniques were used to position magnetic molecules in defined device environments where single-spin addressing leads to the observation of magnetoresistive effects. 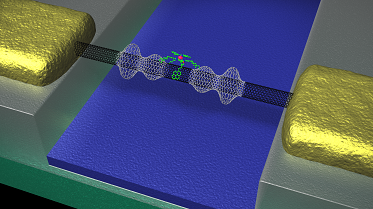 The demonstrated possibility of manipulating spins at the single molecule limit opens a completely new world to Supramolecular Spintronic Devices, where memory, logic and possibly quantum logic may be integrated. Molecules can be considered as physical Quantum Objects. The use of molecular materials represents the advantage that the active quantum processing elements consist of an atomic core of one-to-few open spin ions surrounded by a shell of organic material. At low temperature such molecular spin objects behave as simple, few-level systems and their spin degree of freedom can be sufficiently decoupled from the environment to achieve long decoherence times and making them to ideal candidates for the implementation of qubits. 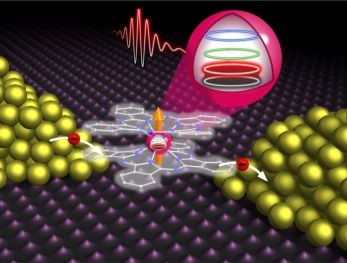 The first example of such successful realization of Molecular Quantum Spintronics, the completely electronic read out of a nuclear spin of a lanthanide ion (bearing electron and nuclear spins) embedded in a molecule (TbPc2), was recently reported in Nature. 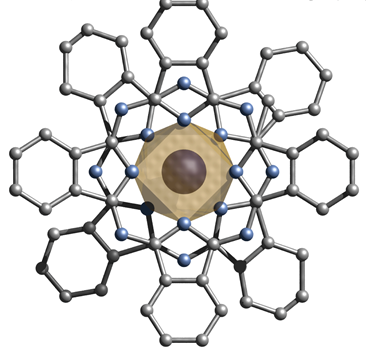 Herre van der Zant presented this article in the news and views section in Nature Nanotech.